Pondering over the idea to cross a long bridge got buried at the bottom of my thoughts. I stopped thinking at such thing a long time ago, when the chance to cross a real one (not only in my imagination) came suddenly; so I took it without even thinking. 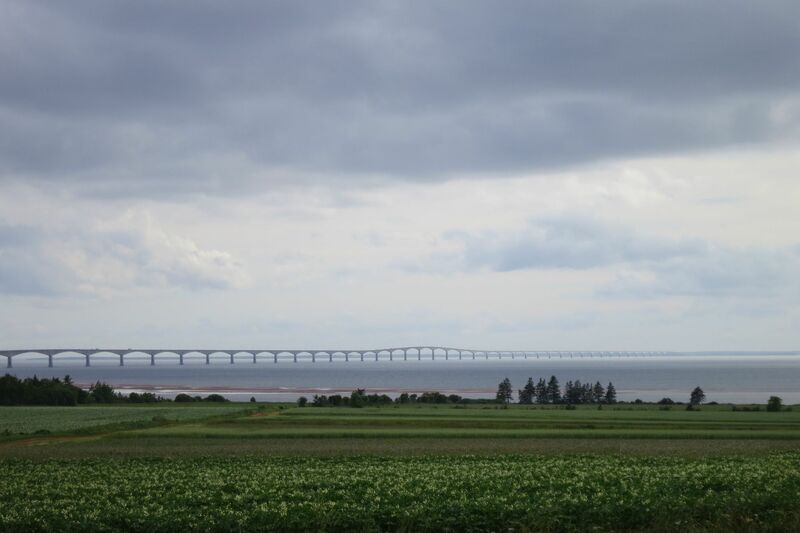 I have never imagined or searched information about how long the Confederation Bridge is, not that I have heard before of that, the one that links New Brunswick to PEI. However, when I started crossing it, I almost forgot to breathe; I couldn’t believe that one could not see the actual island, and started wondering if the bridge even goes somewhere.